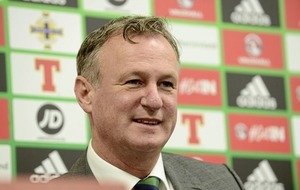 Michael O'Neill was happy to officially sign up until 2024 as Northern Ireland football manager. 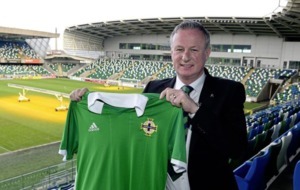 NI boss Michael O'Neill at Windsor Park for the official confirmation of his contract extension. 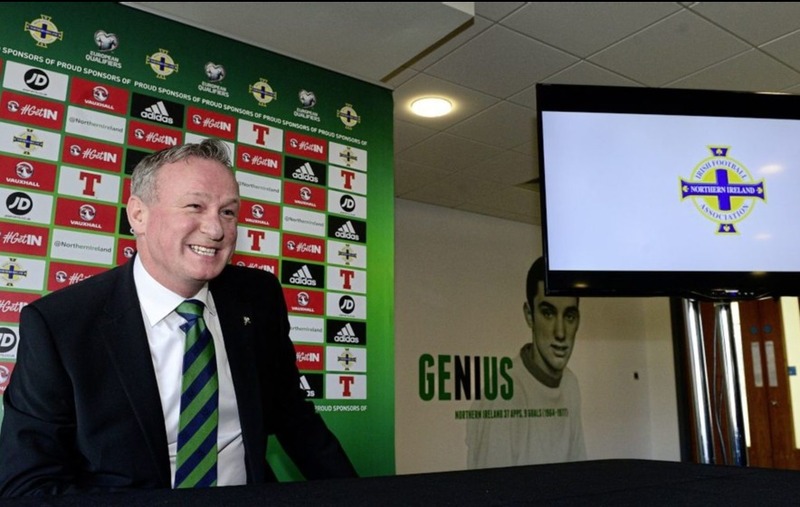 MICHAEL O’Neill was laughing a few times during his media conference yesterday – but he insisted it wasn’t ‘all the way to the bank’, as the saying goes. 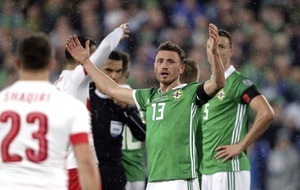 The 48-year-old rejected a suggestion that his improved, extended contract as Northern Ireland manager had increased the pressure to reach the Euro 2020 finals. Asked if he felt under greater pressure to secure qualification again, he replied: “I don’t think so. The expectation is there now to qualify and I think it’s good the players feel that. “When I took the job there was no expectation, really, and that’s the worst situation you can have as a player certainly. The players have changed that, they relish the expectation. “Listen, that’s just a figure, and the decision I made wasn’t a financial one. 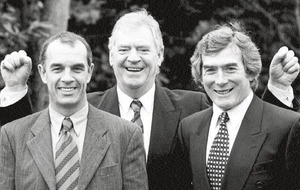 Ultimately, the money in club football is greater than it is in international football. “I’ve been offered opportunities to be better off financially in club football, before France and subsequently, after this campaign as well. “Smoking a pipe as well,” quipped O’Neill. “To be in the job that length of time would be fantastic. “The most important thing, however long you’re in a job, is that you leave it in a better position than you found it. That’s what I want to do. “I don’t think it’s unrealistic, to be honest. That’ll depend on a number of factors – whether the Association still believe I’m the right person for the job, depends on whatever opportunities present themselves – there’s flexibility in the contract, I think we all know that. “The focus is on the job, simple as that. Look at football now, every player, whether he signs an eight-year contract, there’s a release clause in it, that’s the nature of football now. “My immediate focus is on March, then the summer. The Nations League is something I look forward to. “Well, first of all, you have to recognise the fact that both sets of fans were recognised in France for their behaviour. If they can go to France and get on OK, hopefully they can get on OK here. “I think it’s a good for us, I genuinely do. The Nations League makes friendlies a little bit tricky at times, you don’t have a lot of options who you can play. Given we were both free it made common sense. “We played them obviously behind closed doors [in June 2015] – we won 6-0 that day, so we did,” he said with a smile. “It’s a good game for Martin [O’Neill] as well. 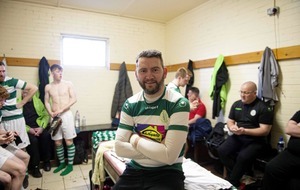 “No manager comes with a guarantee of qualification and we don’t even know the draw yet, that’s a factor, but having gone through what we did in the last two campaigns, of course I am. “We can certainly be in that position to go to the tournament. There are a number of factors still that we need. 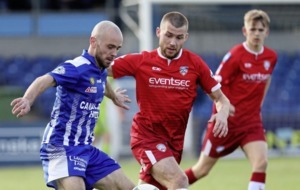 “We need an injury-free campaign and we need our big players available. Everyone has been saying that the squad will get weaker. I think in 12 months’ time the squad will be stronger”.